Most police stations around the country lag behind the times. Often, VHS recorders are used in patrol cars and carbon copy forms are still widely distributed. In fact, it was only last year that the San Francisco police department got email addresses. Some progressive (and well-funded) police departments are getting some new toys to help fight crime. For example, portable fingerprint scanners that cost about $2500 each are being used in the field to identify suspects and bring up outstanding warrants for arrest on the spot. In the past, when a gunshot is fired, police would have to wait for someone to report it. Police in Florida are now testing a SpotShotter system to place the location of a gunshot to high accuracy by using an array of microphones positioned throughout the city. When a gun is fired, the microphones pick up the sound and triangulate the location to within 40-50 feet. Staff at the police station listen to the sound to verify that it was a gunshot, and send officers to the crime scene, if necessary. But for police stations facing budget cuts and downsizing of police staff, an increase in crime requires technology to mitigate that problem. Thanks to low overhead and operating costs, a few departments around the country are piloting new programs and gear that will, in certain cases, allow officers to anticipate where a crime is likely to occur next. 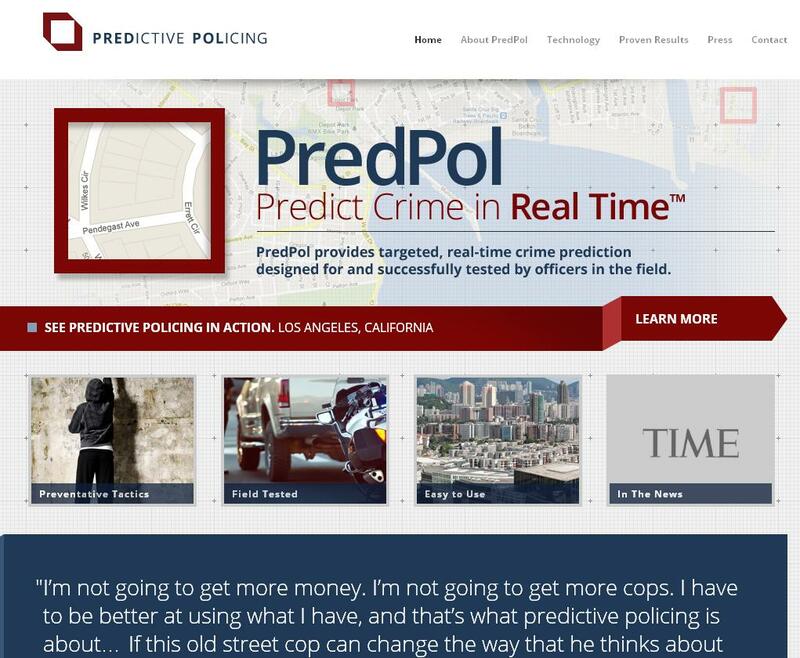 A software program called PredPol calculates areas where probability is high for a new crime to occur based on times and locations of previous crimes. It then marks these areas on a map with red squares that can be printed out and handed to officers at the beginnings of their shifts. This program has been in beta testing for the last six months with promising results: Santa Cruz saw a 19% reduction in burglaries over the past year. For police without this software or technology, the internet serves a useful purpose. Facebook and Google are excellent resources for cops to gather information and ID suspects. Some police have taken the lead on social networking by developing department pages online. They have experienced better results posting pictures of suspected criminals on Facebook than on typical bulletin boards in post offices. Although some of these changes have met resistance from older, conservative officers that aren’t as tech-savvy, younger generation of police will be more apt to embrace these kinds of technology in the future. If you are concerned about police gathering information about you, adjust your privacy settings on social networking sites to block the general public’s access to your photos and information. Further, if you or a loved one is arrested for a crime, call Orange County Criminal Defense Attorney Staycie R. Sena for a free consultation at (949) 477-8088.